Today, I had the wonderful experience of figuring out how to post videos to my new website. Once I realized that it was better to put them on YouTube first and then bring them over, it was a snap. The biggest challenge was getting a video editing program that would allow the videos, which were saved horizontally, because they were taken with a smart phone in the portrait position, to rotate them without causing the audio to be out of sync with the picture. I hope that statement wasn’t as confusing to you as it was to me trying to figure out how to say it. But, with a little help from one of my technology elves (and a couple of editing elves), I got it done. 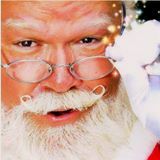 Now you can see on the site a page of videos with snippets of 4 Christmas songs that I recorded a couple of years ago. I’ll have to take some time soon and rerecord them so that the entire song is on the video instead of it ending abruptly in the middle. hoHoHO!! 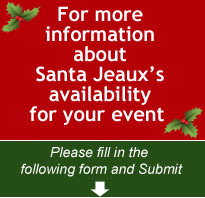 – It’s Santa Jeaux!! !